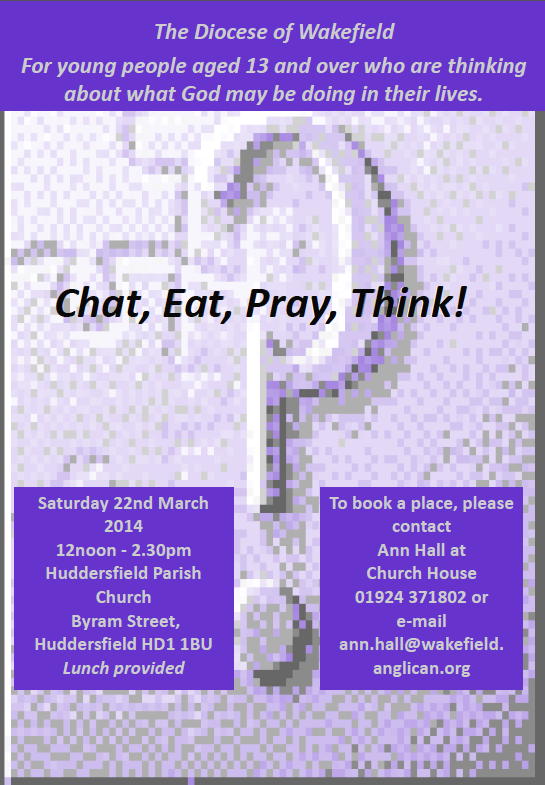 Open Door Event – Chat, Eat, Pray, Think! A Young Vocations Experience delivered by the Resourcing Children, Youth and Families Team from Wakefield Diocese using the resources laid out in St. Peter’s during the previous week. See the poster below and the previous post.